Dr Andrew Turner graduated with honours from the University of Melbourne in 1973. In 1988, after working in mainly equine practice, Andrew became a member of the Australian College of Veterinary Scientists by examination in Equine Surgery. 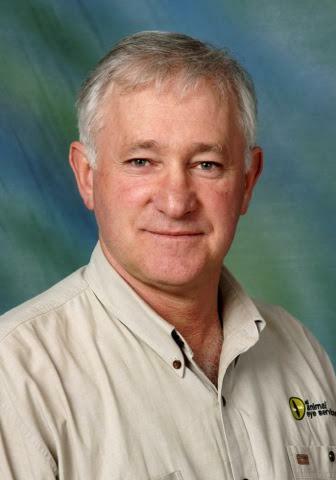 In 1993 Andrew commenced a residency program in veterinary ophthalmology with Dr Rowan Blogg, the founder of veterinary ophthalmology in Australia. In 1997, Andrew became a Fellow of the Australian College of Veterinary Scientists by examination in Veterinary Ophthalmology. Andrew is a Registered Veterinary Specialist in the discipline of ophthalmology and has presented scientific papers overseas and published peer-reviewed scientific papers in Australian and International Veterinary Journals. Andrew is an Honorary Fellow and Lecturer of Veterinary Ophthalmology at The University of Melbourne, Faculty of Veterinary Science. Andrew is a Director at All Animal Eye Services. Simon graduated from University of Queensland in 1998. Simon initially worked in a mixed racetrack and stud practice in Melbourne before undertaking Internships in Veterinary Anaesthesia and Small Animal Medicine and Surgery at the University of Melbourne Veterinary Clinic and Hospital. In 2002, Simon achieved Membership of the Australian College of Veterinary Scientists by examination in Small Animal Surgery. Simon then graduated with a Masters of Veterinary Studies from the University of Melbourne in 2003. 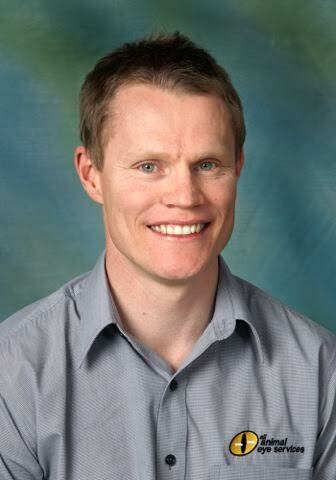 Simon started a residency program in Veterinary Ophthalmology in 2002 and achieved Fellowship of the Australian College of Veterinary Scientists in 2006. Simon is a registered Veterinary Specialist in the discipline of Ophthalmology, has presented scientific papers overseas and published peer reviewed scientific papers in Australian and international Veterinary Journals. Simon served as President of the Ophthalmology Chapter of the Australian and New Zealand College of Veterinary Scientists from 2008-2011. Simon is an Honorary Fellow and Lecturer of Veterinary Ophthalmology at The University of Melbourne, Faculty of Veterinary Science. Simon is a Director at All Animal Eye Services. Dr Jessica Nevile graduated with honours from the University of Melbourne in 2003. Jessica worked in a mixed practice in Bendigo for two years before temporarily relocating to the UK where she locumed at a variety of practices. Jessica then worked in a small animal practice in Melbourne for several years and became a member of the Australian and New Zealand College of Veterinary Scientists by examination in Feline Medicine in 2012. Jessica completed a residency in Ophthalmology at All Animal Eye Services in 2015 and achieved Fellowship of the Australian and New Zealand College of Veterinary Scientists in 2016. 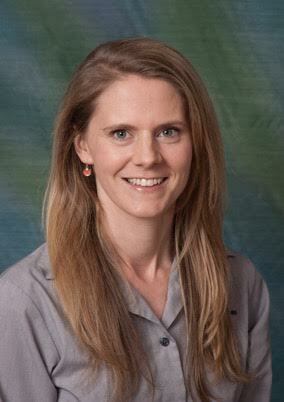 Jessica is a Registered Veterinary Specialist in the discipline of ophthalmology and has published peer-reviewed scientific papers in Australian and International Veterinary Journals. Jessica is an Honorary Fellow and Lecturer of Veterinary Ophthalmology at The University of Melbourne, Faculty of Veterinary Science. We are very lucky to have a team of highly experiences senior nurses to ensure you and your pet receive the best while at our clinic. All of our nurses have been nursing for over 10 years and their experiences range across numerous general vet clinics in Australia and overseas, emergency clinics and over 8 years in Ophthalmology.